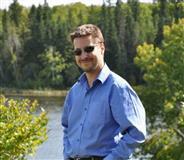 Welcome to Matthew Gaglione’s Real Estate Website serving the Edmonton Area. Thank you for visiting, I hope you find a lot of information specific to buying or selling in the Edmonton Alberta region. This site’s Property Search feature will display all the homes on the Multiple Listings Service (MLS) with no prioritization based on brokerage. There is even a custom Strathcona County search above that you can refine and add more options like total acres and price. If you find yourself often searching with the same criteria, you can save your search using the heart button and access it using a simple and free to use account with My Home Tracker. You can also save specific properties there too. For access to educational information and helpful links, select the Resources drop down menu and choose from Document Downloads, School Boundary Information, Garbage Collection Schedules, CMHC Resources and more. Click Here for my listings, and as always, if you have any Real Estate related questions, please do not hesitate to Contact Me!